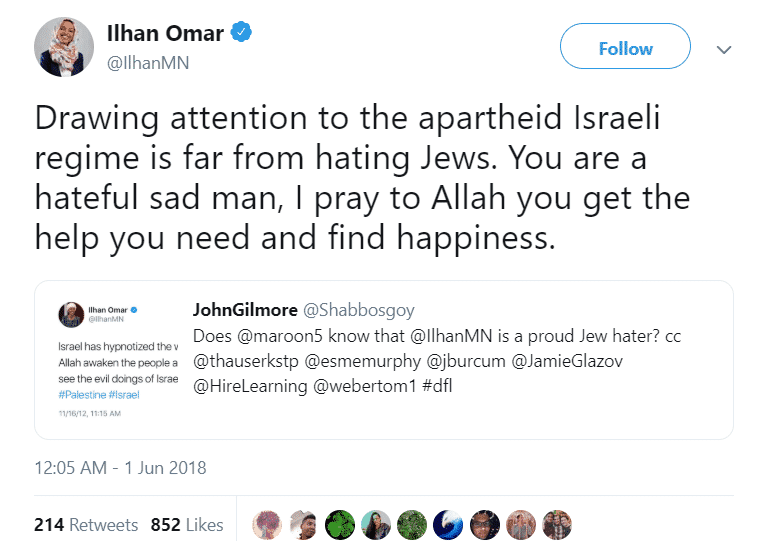 Minnesota Rep. Ilhan Omar — who supports the boycott Israel movement and who once said that Israel “hypnotized the world” — was appointed to the House Foreign Affairs Committee on Thursday. 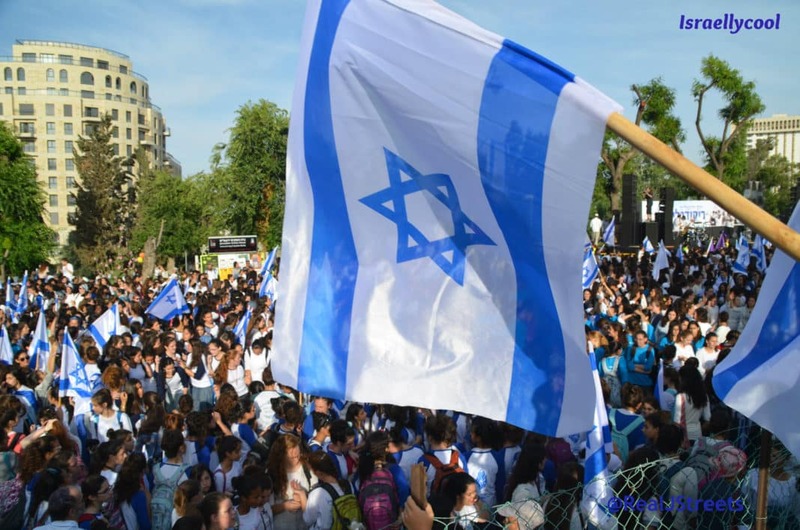 The assignment, chosen by House Speaker Nancy Pelosi, will give a vehement critic of the Jewish a state a voice — and a vote — on the powerful panel that oversees US foreign policy and foreign aid. While Omar did not mention Israel, she did gesture her eagerness to work toward fundamentally changing America’s relationship with another Middle Eastern ally. 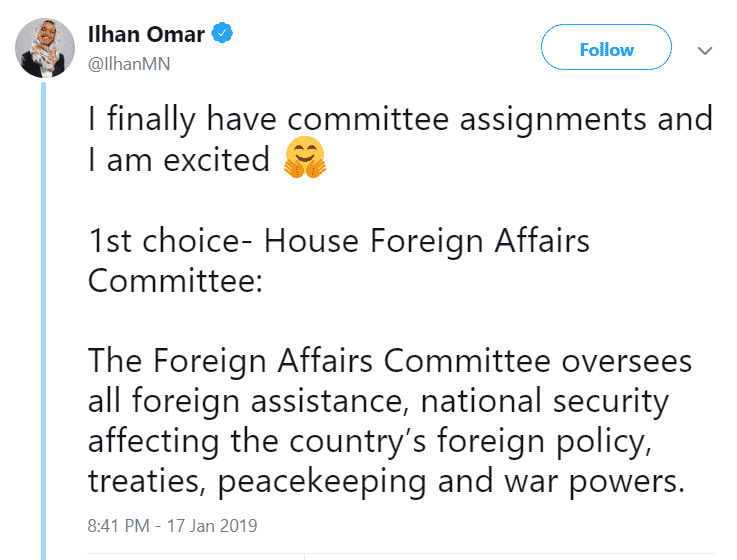 Omar’s appointment to the House foreign affairs panel was immediately panned by critics who say her criticisms of Israel amount to anti-Semitism. I think this speaks volumes about where the US Democrat party is today in terms of Israel and the US’ relationship with us. You can spin it anyway you want, the fact remains her anti-Israel tweets and BDS-holing are common knowledge, yet Democrat House Speaker Nancy Pelosi still saw it fit to give her a voice (and vote) on the powerful panel that oversees US foreign policy and foreign aid. It looks like some are well and truly hypnotized after all. The liberal Middle East advocacy group J Street, however, which opposes the BDS movement, defended Omar’s newfound position of influence. “At a time when there are more displaced people in the world than ever before and the Trump administration has turned its back on them, I personally believe it’s a positive development to see @IlhanMN, who came to the US as a refugee, getting a seat on HFAC,” tweeted Jeremy Ben Ami, the organization’s president. Update: Check out her smirk when CNN’s Christiane Amanpour mentions AIPAC.